Certain times of the year, training will be offered to those with new puppies as well as those interested in sport dog training. 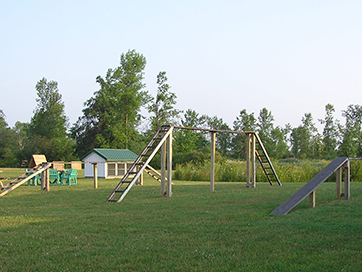 A large training field and dog swimming pond are located on the grounds. Call us for more information.